I am going to start this review of Castlevania Lords of Shadow by saying that I had a lot of mixed emotions about this game while I was playing it. This was the first Castlevania game that I have ever played and I was pretty excited about playing it because people speak so highly of Castlevania. When I first started this game I recognized immediately that this game was almost a perfect carbon copy of God of War, that can be a good or bad thing depending on what you expected a Castlevania game to be. Also, the graphics are actually pretty good, and the levels detail and environment gives the game a Castlevania feel to it I guess. Once I got past the realization that I am basically playing God of War, I continued on through the levels. 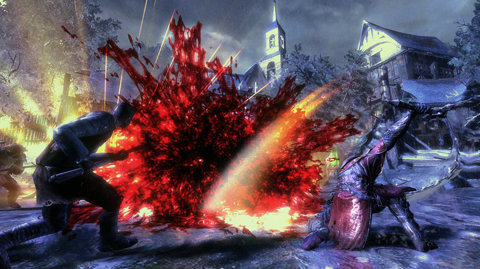 Lords of Shadow has 12 chapters for you to take the main character, Gabriel, button mashing through. The story of this game is that the world is going through a very dark time, a lot of evil things have been happening very frequently and that the balance of Good and Evil have tipped significantly in Evil’s favor. The Holy Order (The Brotherhood of Light) that Gabriel belongs to believes that God has left them. Gabriel, who has just recently lost his wife, is going to go try to find out why the this is all happening and see if God has really left them to suffer the evil that is spreading through the world. Gabriel learns some vital information from a member of the Holy Order named Zobek, that there is an artifact named “The God Mask”. Zobek informs Gabriel that this artifact can put an end to this dark time that the world is experiencing, and here’s the kicker, the mask can in fact bring his wife Marie back to life. There are 4 Lords of shadow, and each Lord has a piece of this God Mask in order to maintain a balance between themselves so not one Lord is more powerful than the other. 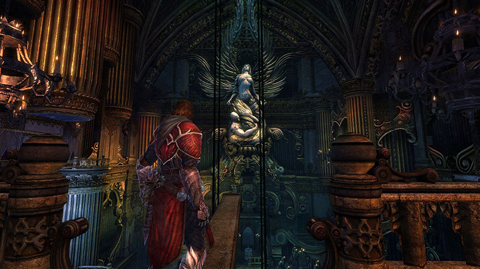 So Gabriel Belmont sets out in the quest to bring his wife from the dead, and restore the “Good” to the world. As I said, this is the very first Castlevania I have played, and everything seemed pretty cool until I got basically more than half way through this game and had not yet set foot inside of a castle. Call me ignorant, but I could have sworn that in almost every screenshot, and every time I have seen someone playing a Castlevania game, I have always seen them inside of a castle. This is not the case with Lords of Shadow. The majority of this game takes place outside killing trolls and goblins in swamps and mystical forests. Now I am not saying that this is a bad thing, but it was just very unexpected on my end. I have to say though, this game is very frustrating. You will be plowing through this game and then once you hit a puzzle or a platforming scenario, the game basically skids to a stop. I don’t really mind platforming and puzzles, but I DO mind when they are absolutely idiotic and basically just seem like they were put there to make you mad and slow down your progress. Platforming wouldn’t be so bad if this game allowed you to look around in first person, but they don’t which results in a lot of frustrating trial and error. This is also a very big problem with finding secrets in this game. You have to basically ask yourself, “Hmm… should I jump off this bridge to see if there is a secret cache over there? Sure why not?” and then plummet to your death to the set checkpoint that the game saves you to if your health is low enough. I also remember having to kill myself 3 times because the creators of this game made your grapple hook button the same as your “pick up item” button. So I would click the button, miss an item that would increase the amount of my health or magic, and would have to kill myself to do the whole sequence all over again. My first play through of this game was on hard mode, and it frustrated me to no end that I wasn’t even dying from the monsters, but to this games horrible platforming mechanics which really made no sense to me. For example, I would jump to a ledge but would not make it and fall to my death. Then after reloading I would be back at the same point and make the exact same jump as I did before, but this time Gabriel would grab onto the ledge and pull himself up. I found myself repeatedly asking myself, “Why didn’t that work last time” throughout the entire game. The fighting in this game gets pretty repetitive until you have enough points to buy new combo moves. However, your magic powers are pretty entertaining. You have Holy Magic and Dark Magic, and it makes for good killing of monsters and demons alike. I found that the Cross ability and the Ultimate Light and Ultimate Dark spells are the “I Win” Buttons of the game. These spells would utterly destroy any monster or demon in front of me without any problem at all, and I was playing on hard mode, so… yeah. Honestly Lords of Shadow doesn’t really pick up, until the first real Boss of the game. I have to say, the boss fights and the story in this game is what really drove me on to completing this game. The boss fights are extremely fun, and I was shocked that the camera angles weren’t an issue during these boss encounters. The bosses in this game are in my opinion very creative and a lot of thought was put into these fights, and on hard difficulty mode, I felt like I accomplished something by killing some of these bosses. Most of these bosses are definitely not push overs in this game, and it was actually really refreshing to struggle through some of these encounters. 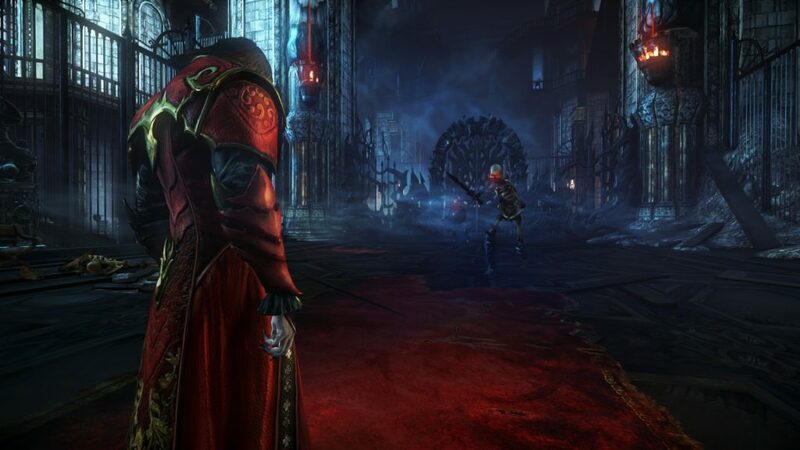 So, my opinion on Castlevania Lords of Shadow is that it is a pretty solid game if you can get through the frustrating points of the game, you will be rewarded with this games pretty awesome story for a video game and amazing graphics. It is worth renting or borrowing for a play through. 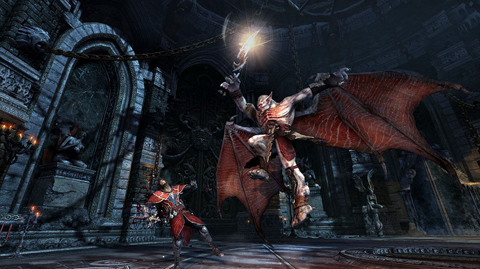 Castlevania Lords of Shadow is that it is a pretty solid game if you can get through the frustrating points. It is worth renting or borrowing for a play through.